Here’s the idea: someone wakes up in a cell, doesn’t know who they are or how they got there. This may not seem like a lot to go on, especially when I tell you that CELL (not to be confused with Blood Cell) just wrapped production and won’t be hitting the web until 2010, but hear me out on this one. 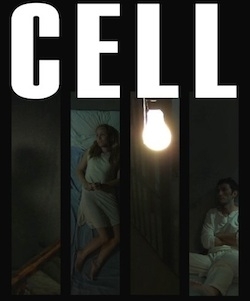 Produced by Austin, TX-based Lovable Varmint Productions, CELL is the brainchild of writer/director Mark Gardner. The film was shot entirely in Austin and Smithville, Texas, a tiny town about 40 minutes outside the city. In true indie fashion, the majority of the series takes place in one location, built out of an old Dollar Store, and the majority of props and tools used to build the set were donated by local businesses. The crew was made up of volunteers just wanting to be a part of it, some even having to be turned away simply because there wasn’t enough food for everyone. From what we hear, the actors were so dedicated to the project that they would sometimes sleep on set. One of the actors even brought a camera on set overnight and cut his own “Unofficial” trailer (below), which interestingly actually has more views than the Official trailer.